MCKINNEY, Texas, July 5, 2016 /PRNewswire/ — With the summer fun and flip flop season in full swing, those suffering from discolored toenails start to worry about what others think of their feet. 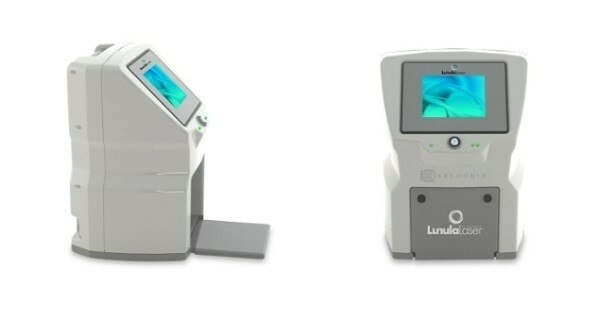 Toenail fungus sufferers can now enjoy clear nail beds with the FDA 510(k) approval of the Lunula Laser, an Erchonia Corporation low-level laser. This is the first and only low-level laser to receive FDA 510(k) marketing clearance for onychomycosis. 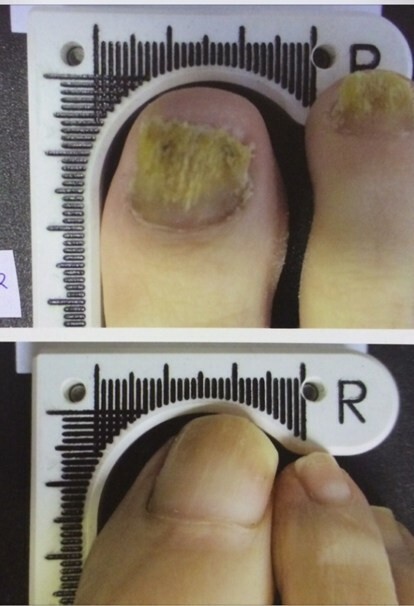 The portable Lunula device applies a laser to the area infected by onychomycosis. During the study, patients between 18 and 70 years old received treatments once a week for four weeks. Previously, treatment for nail fungus included prescription oral antifungal medication, which increased potential for liver toxicity issues, or else called for ineffective, over-the-counter topical creams. Zang and Sullivan lead the research behind Lunula. Prior to FDA 510(k) approval, the product went through four clinical trials which recorded no known side effects. Preorders begin June 30, with delivery scheduled for mid-July. The 510(k) is a premarketing submission to the FDA that demonstrates that the device marketed is safe and effective. The premarket approval for the 510(k) is the most rigorous type of device marketing application accepted by the FDA. Founded in 1996, Erchonia Corporation is the world leader in low-level laser technology. The company created the low-level laser category in 2002 when it received an FDA 510(k) market clearance for low-level lasers. Erchonia was the first company to receive this FDA 510(k) distinction. For more information, visit www.erchonia.com or call 888-242-0571. For additional information, image and interview requests, contact Marjorie Comer, Axia Public Relations at 888-PR-FIRM-8, ext. 700. This entry was posted in News and tagged Erchonia, FDA Market Cleared, Low Level Laser Therapy, Lunula laser, LunulaLaser, Onychomycosis, Toenail Fungus. Bookmark the permalink.